Two teams at opposite ends of the table meet when Newcastle clash with Bournemouth. Opta crunches the numbers so you don’t have to. Newcastle have lost both of their Premier League matches against Bournemouth at St. James’ Park – their last home league win against the Cherries was in February 1990 in a second tier match. Bournemouth are [2.64] to win. Bournemouth’s two away Premier League wins against Newcastle are their joint-most against a single opponent – they’ve also won two against Chelsea, Stoke City and West Ham United. They are [1.88] in the Draw No Bet market. Newcastle have only lost their first three home top-flight meetings against one other opponent – rivals Sunderland won their first four such visits to Newcastle between April 1899 and September 1901. Bournemouth are [4.4] to win half-time/full-time. Five of the last seven goals scored in Premier League fixtures between Newcastle and Bournemouth have been scored in the 80th minute or later. The Bournemouth half-time/draw full-time double result is [17.0]. Newcastle won their first Premier League match of the season against Watford last time out, and are looking for consecutive league wins for the first time since April. They are [2.98] to win. 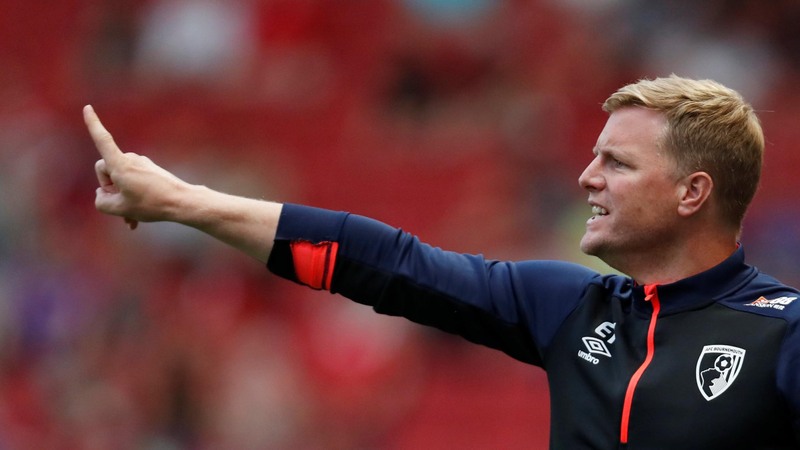 Bournemouth are looking to secure three consecutive away league wins for the first time ever in the top-flight, last doing so in their final three away Championship games in 2014-15. The draw half-time/Bournemouth full-time double result is [6.4]. A league-high share 57% of Newcastle’s Premier League goals this season have been headers. Salomon Rondon is [3.5] to score. Bournemouth have won three of their five away league games this season, just one fewer than they managed across the whole of 2017-18 (4/19). A Bournemouth win and both teams to score is [5.5]. Only Harry Kane (5) has scored more away goals than Bournemouth’s Callum Wilson in the Premier League this season (4). Wilson is [3.0] to find the net. Bournemouth’s Callum Wilson has been involved in 10 goals in 11 Premier League games this season (6 goals, 4 assists) – as many as he was in 28 games in the competition last season (8 goals, 2 assists). Wilson is [7.0] to score the first goal.